Gabon gained its independence on August 17, 1960. Gabon has rich reserves of timber, petroleum, manganese, and iron. Rainforest covers about three-fourths of Gabon. Gabon has some of the largest nature parks in the world. Two principals of Gabon’s Adventist secondary school, one current and the other former, share stories of students whose lives were transformed when they met Jesus in their classrooms. This is Jean Sangwa Samale, the current principal of our Adventist secondary school in Libreville, Gabon. The chaplain and I began studying the Bible and praying with Mapikoud every day. This was completely unfamiliar to him, for he knew nothing about Christ when he came to our school. We advised Mapikoud on how to make healthy choices and entrusted him with responsibility, such as being the student leader of the class. Gradually, he began to grow intellectually, emotionally, and spiritually. He stopped drinking and taking drugs and gave his heart to Jesus. His parents were so happy about the changes in Mapikoud, they also sent his younger brother to our school. We had a similar experience with 19-year-old Moukala. He was only in ninth grade because he repeated many classes. His parents asked us to help him stop smoking and drinking. 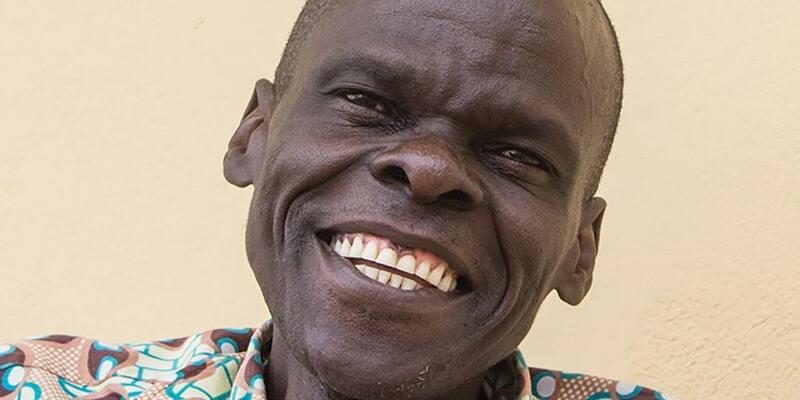 We embraced Moukala in love and helped lead him to Jesus. His parents were so happy with his progress, they brought his younger sister to join our school. Both these students now love Jesus and are attending church regularly. Our former principal Andre Kabwe also has a story that he’d like to share with you now. Greetings from Gabon! It’s such a joy to be able to share stories with you of how Jesus is working through the ministry of our schools. One particular student who experienced an extraordinary transformation in her life is a young woman named Dorcas. I don’t know what happened to her parents, but she lived with her grandmother when she came to our school. She smoked and drank and engaged in all kinds of unhealthy behavior; she knew absolutely nothing about God. I wish you could see Dorcas now. She accepted Jesus as her Savior and was baptized. She has her Bible with her all the time and has sermons and Ellen White books on her phone. She’s even leading her classmates and neighbors to Christ. Dorcas is only one of hundreds of children whose lives have been recreated as a result of meeting Jesus at our Adventist school in Gabon. Our secondary school is a strong center of evangelism in this city because the majority of our students are not Adventists and some are not Christians. We start each day with prayer and worship. We teach children to understand the Bible and apply its teachings to their lives. We help them build a strong, heartfelt connection to God and involve them in community outreach to help those in need. Through God’s grace, many of them have committed their lives to Jesus and been baptized. Some have shared what they’ve learned at school with their parents and helped lead them to Christ. We’re doing everything we can at our school to heal the brokenness and pain around us. But we could do so much more if we had another secondary school in our country. The Thirteenth Sabbath Offering this quarter will help us build a new school so that we can reach more people for Christ. Dear brothers and sisters, will you help us?